Streamline your retail business for greater improve productivity and profitability. Merchant Processors teamed up with Microsoft and Hewlett-Packard to create an easy-to-use, dependable and affordable point-of-sale (POS) computer system that helps streamline your retail business for greater profitability. 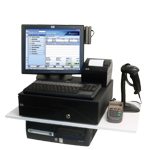 Designed to replace a cash register, the Merchant Processors(R) POS Value Exchange(TM) Retail solution helps you manage inventory, track sales, control costs, improve customer service and better guide business decisions. Through this combination of a personal computer, inventory management software and a payment processing system, you can leverage the combined value of three industry leaders: Merchant Processors, Microsoft and Hewlett-Packard. of our Retail Point of Sale System. Manage all aspects of your restaurant business with a comprehensive, cost-effective system that offers you an all-in-one point-of-sale solution to turn your tables faster. 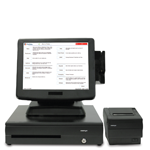 The Merchant Processors POS Value Exchange(TM) Restaurant Solution, an all-in-one point-of-sale (POS) computer system, helps small to mid-sized restaurant owners improve productivity and increase profitability. of our Restaurant Point of Sale System.